The turkey has been carved, the pies have been eaten, and the leftover plates have been packed up. Thanksgiving is over, and the holidays have officially begun! If you haven’t planned your holiday party yet, it’s GAME. ON. Fortunately there’s still time to book a holiday party here at Rab’s Country Lanes. Take a deep breath, we’ve got you! 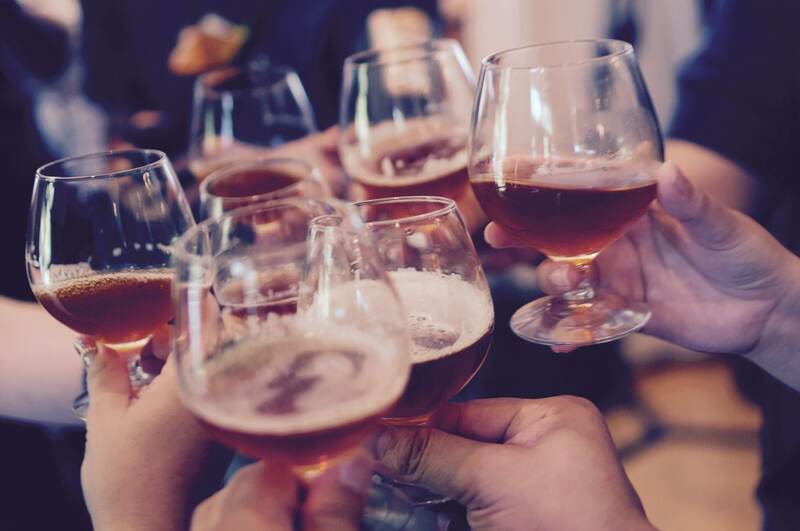 Check out these tips to make your party a hit. Schedule your party soon – The sooner you book your party, the better your chances of availability at your preferred day and time. You’ll also be able to send out invitations to give your guests plenty of notice. That way they can add you to their calendars, schedule childcare, and make any other necessary arrangements before busy holiday schedules fill up. It’s all about activities – Bowling parties are a great option for your office holiday party – or neighborhood, church, school, club, etc. – because they have a built-in activity that guests of all ages and abilities can enjoy! It’s also an instant ice breaker, so Bob from accounting and Linda from sales are sure to have a good time bantering over some friendly competition instead of making awkward small talk around the conference table. Be a force for good – If you’re getting a group of people together to celebrate the holidays, consider using your event as a way to spread some holiday goodwill as well! Suggest that your guests bring a canned good for a local food pantry or dog/cat food for the local animal shelter or rescue group. Customize your event – From simple pizza parties to full catering, our party package options have something for every group and budget! Don’t wait too late to book; make a party reservation by contacting one of our events specialists today at (718) 979-1600 to discuss your Staten Island holiday party! STEAM is a major focus in education these days, and bowling is the perfect way to demonstrate and teach STEAM principles! Why is STEAM a focus in education? If you’re not familiar with the acronym, STEAM stands for Science, Technology, Engineering, Art, and Math. It has been estimated that by 2020, nearly 5 million jobs will have been unfilled because of a lack of STEAM-based skills in the US workforce. STEAM jobs are the future, and children with a solid grasp of STEAM concepts are more likely to do well in school, have access to better opportunities, and are more likely to be successful in finding good jobs once they graduate. STEAM principles are not only important, but they’re also fun to teach! When demonstrated with real world, hands-on teaching, STEAM principles are incredibly engaging for students. 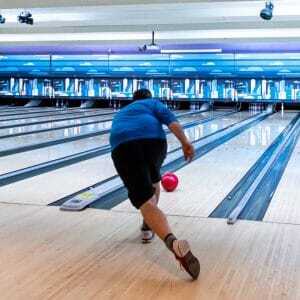 Speaking of engaging, bowling is a fun, novel, and hands-on way to teach physics. Kinetic energy, friction, and other types of forces are all wonderfully demonstrated in bowling. Hook balls, for example, are only possible with a good grasp of physics. Hook balls require the proper amount of torque applied to the ball so that it hits the pins at a roughly 30° angle. This angle of impact better distributes the force of impact on to the pins, resulting in more strikes than a ball thrown straight down the lane! Looking for STEAM field trips in Staten Island? We can help you plan a STEAM field trip that is not only educational, but also fun! Contact us to book a bowling field trip as part of your STEAM curriculum today. There’s always something fun going on around Staten Island, and this month is no different! Check out a few of our favorite October Staten Island family-friendly events below. This amazing fall family event will have the largest pumpkin patch in Staten Island, music, food, fun rides, cool games, scarecrow-making, lots of vendors, and more! This family festival will take place on October 20th and admission is free! 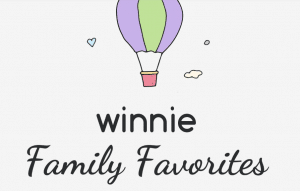 This cool upcoming Staten Island family event has a ton of planned activities! There will be a science workshop on creepy worms, a fun create-a-monster event, spooky (but not scary) family-friendly movies, a Halloween art workshop, trick-or-treating at the Staten Island Museum, pumpkin painting, live performances, a costume contest, and more, not to mention some fun craft vendors and delicious food. On October 30th, Hotel Transylvania and Hotel Transylvania 2 will be playing at the Staten Island Mall. Check out these hilarious family-friendly movies and enjoy a delicious dinner from local food trucks. It’s always a great time to take the family bowling! Plus, we have lots of wonderful upcoming Staten Island events, including the 16th Annual Bowling Against Breast Cancer Bowl-a-Thon on October 28, Live Music: Karaoke every Thursday, Rab’s Gold Shootout on October 20th, and the Rab’s Youth Baker Classic on October 21st! There’s always something fun going on at Rab’s Country Lanes. Check out our calendar for even more fun events to look forward to. Rab’s Junior Masters Tournament returned in 2018 for its 17th Installment. Top youth bowlers from the area competed for the elusive titles and $4,800 in scholarship awards. Francis Vitelli captured the Scratch Division Title for his second Junior Masters Title. His first came in 2012 in the Handicap Division. Francis made his way through the Winners Bracket, where he met Harris Mirza in the Finale. As the winner of the Non-Winners Bracket, Harris needed to defeat Francis twice in the final match to claim the title. In a nail-biter, down to the 10th frame match, Mirza defeated Vitelli 280 to 269, forcing one more match. After another amazing show, Vitelli came out victorious defeating Mirza 247 to 231. 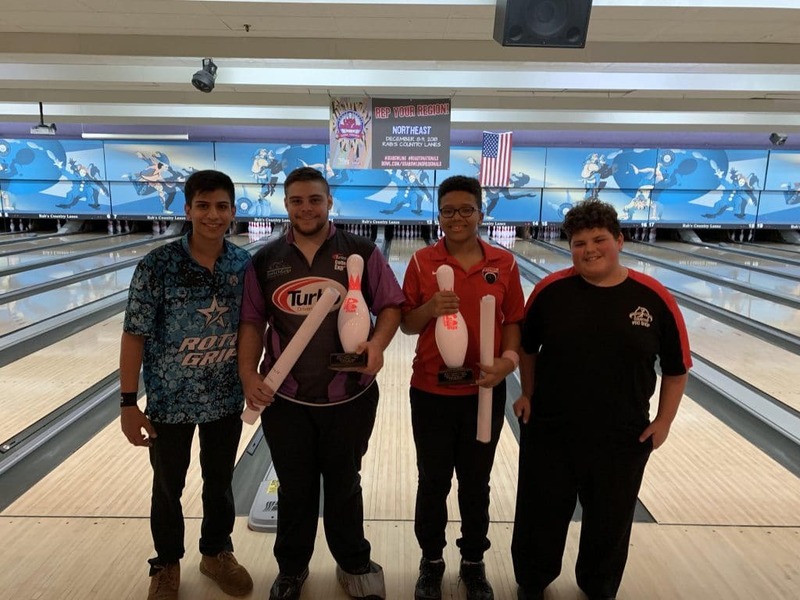 In the Handicap Division, a first time experience for both Joseph LaBarbera and Mariano Mitchell, Mitchell defeated LaBarbera 215 to 203 in the final game. As the winner of the Non-Winners Bracket, LaBarbera forced a second game after he won the first game 201 to 185. Bobby ‘Lamp’ Lampariello lit up the lanes Monday with a 640 set highlighted wit hthe games of 246 & 211! Can you believe that the history of bowling may date all the way back to 3200 BC? According to Sir Flinders Petrie, an early form of bowling was actually played in ancient Egypt! Of course, bowling as we know it today is a much more recent invention. It is believed that the sport took form in Germany sometime around 300 AD, although the English and Dutch also have a history of pin-based games. We know for a fact that bowling was so popular in England that in 1366, King Edward III had to outlaw it because his troops were so busy bowling that they were neglecting their archery practice. English, Dutch, and German immigrants brought the sport to America sometime prior to 1670. Bowling was so popular in New York that the heart of the Financial District is still known as Bowling Green today. By the 1800s, there were so many different variations of bowling and bowling clubs in America that it was starting to become a problem. With so many regional differences, no one could seem to agree on the rules! That is until Joe Thum brought everyone together. Thum called together bowling club representatives from all the major regional bowling clubs. Together they founded the American Bowling Congress in 1895. The Congress worked to standardize the rules and equipment used by bowlers which finally allowed for major national competitions and bowling leagues to be held! 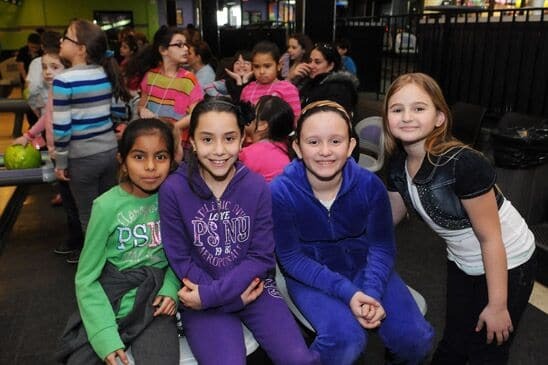 If you’re interested in joining a league, check out our Staten Island bowling leagues! Or if you’re looking for a more casual experience, then book a lane for open play at our Staten Island Bowling Center today. 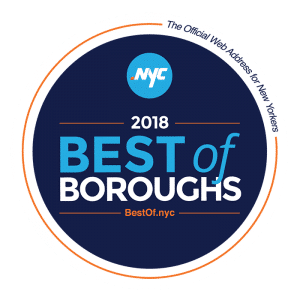 Rab’s Nominated in 2018 .NYC Best Of The Boroughs! Support by Voting! We’re honored to once again be nominated for a Best of the Boroughs Recognition by DotNYC! Show your love for us by showing your support with a VOTE for Rab’s, your favorite entertainment destination on #StatenIsland! NYC Best of the Boroughs celebrates the local businesses, organizations and community individuals that make our city, and each borough, a unique place to live! Click Here to Vote for Rab’s! Beat the Back-to-School Blues at Rab’s! With Staten Island schools back in session, it’s important to make time for some family bonding! So fight those back-to-school blues with a fun after-school trip to Rab’s Country Lanes! All work and no play is not good for kids! By making time for fun, you’ll help your kids de-stress after school. Spacing out school work and homework with some recreation time can actually help children focus. Bowling helps kids unplug. It’s important to give kids active, social, IRL (ie “in real life”) things to do after school instead of just binging Netflix, playing video games, or being on social media 24/7. It’s a great activity to learn! Bowling is a good family activity that you can all enjoy together, rain or shine. Bowling could even turn into a lifelong hobby or sport that will help them stay active and social their whole lives. What’s more, bowling teaches patience and hard work! Sportsmanship is important. Not only can bowling help improve family bonding, but it’s also a wonderful way to teach teamwork and sportsmanship at any age. Bowling is good for your health. 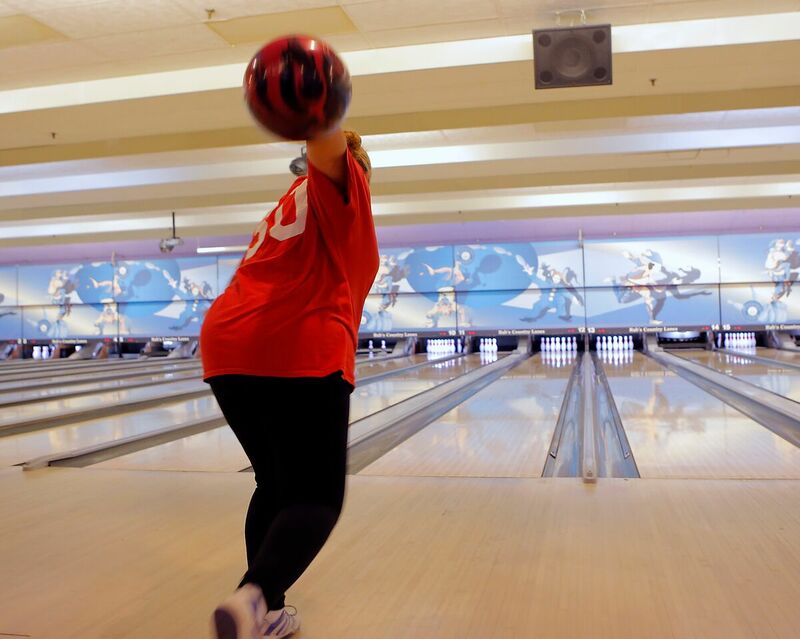 Bowling helps improve flexibility, arm and core strength, and hand-eye coordination. Plus it can be enjoyed by any age group or fitness level. So get your kids involved in bowling for a little after-school fun in Staten Island. And if your kids are really into it, sign them up for one of our youth bowling leagues. Fall registration is happening now! League Bowlers Wanted… There’s still time to get in the game! The 2018-19 League Bowling Season is underway, and there is still time to get in on the fun! Whether you’re a novice or a pro, there’s a league for you. Get in the game for a lifetime of memories, why? Camaraderie, Fun, Fitness, Relaxation with your friends and family! Tuesday & Thursday 9:30 AM – Rab’s Senior Men’s Club | Come down and join us! 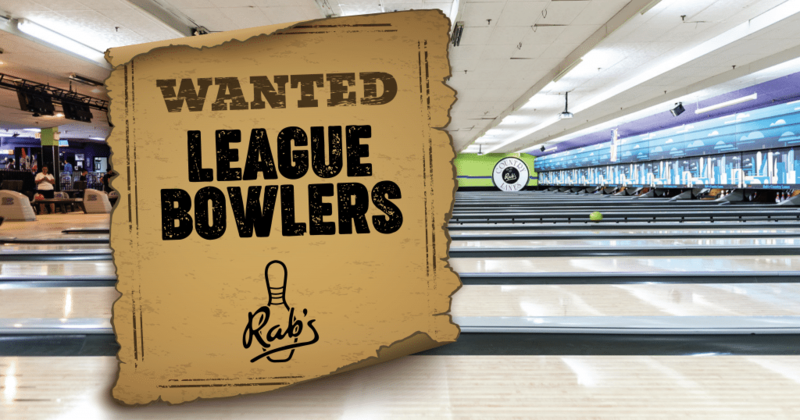 I’m Interested in Joining a League at Rab’s!